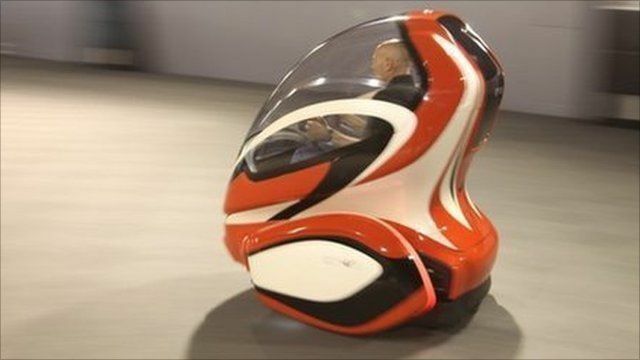 Driving an electric 'bubble' car Jump to media player General Motors have unveiled a two-seater electric car with a wheel on either side and a communication system that prevents it from crashing. 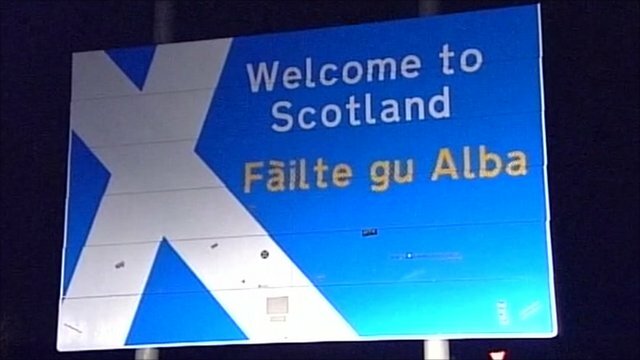 'Range anxiety' about electric cars Jump to media player A lack of charging points is potentially putting off people from using electric cars. Joe Lynam investigates 'range anxiety'. 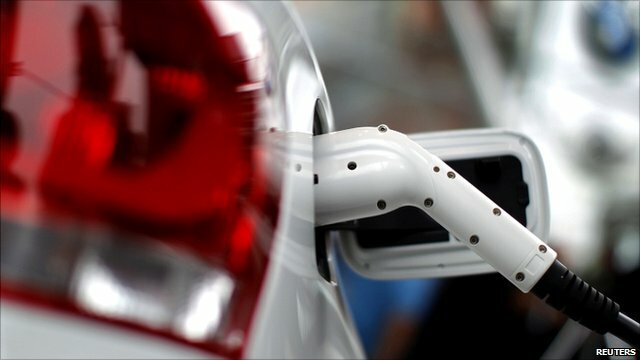 German bid to lead electric car market Jump to media player Germany wants to be the market leader in electric cars and the cabinet is discussing financial support for the industry to help achieve that. First look at Rolls-Royce electric car Jump to media player The BBC's Jorn Madslien takes a look at the new Rolls-Royce electric car. Electric car challenge: Edinburgh Jump to media player Brian Milligan has reached his final destination Edinburgh in his challenge to drive an electric car from London using only public charging points. 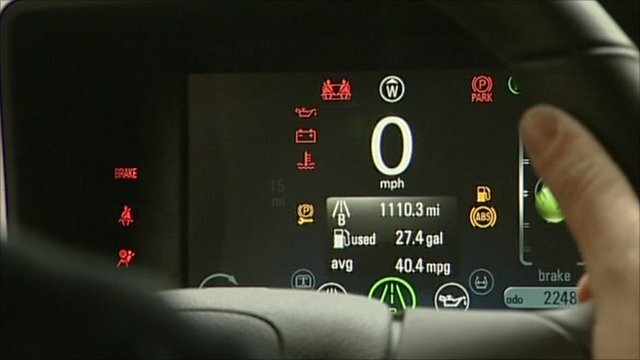 General Motors have unveiled a two-seater electric car with a wheel on either side and a communication system that prevents it from crashing. The futuristic-looking EN-V rises from a crouching position to balance on its two wheels, almost as if they were legs. It was developed to GM's specifications by the transport technology firm Segway, using gyroscopic and fluid-based levelling sensors to help the vehicle balance whilst on the move. 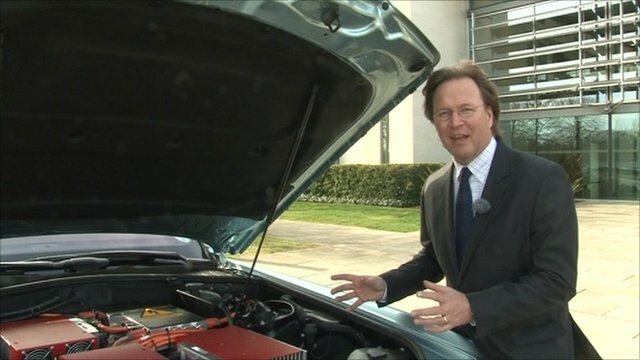 The BBC's Jorn Madslien went for a test drive.